Every once in a while, we’ll also send you an e-mail with tips and techniques to Steal the Show during all of life’s most important moments. We will keep your name and email confidential. We'll never share it. Of course, we will send you regular emails of encouragement so you'll come and work with us. Plus, you'll get additional free public speaking tips, videos and more. You can opt-out with one click at any time. When the room quiets down and all faces turn to you, the way you handle the next few minutes is crucial—for your career, your reputation, and for your own self-confidence. This scenario happens nearly every day in one context or another—in the conference room, at a client meeting, in a job interview, in front of an audience—and every time, we find ourselves with two clear-cut options: either fade meekly into the background, or speak up and steal the show. Confident communication is a skill anyone can learn. New York Times best-selling author, top-rated corporate speaker, and former professional actor Michael Port offers a fast track to the skillset that will enable you to stand up and present in a way that makes people listen. For every person who projects a natural affinity for the spotlight, there are three who don’t. This book is for them. 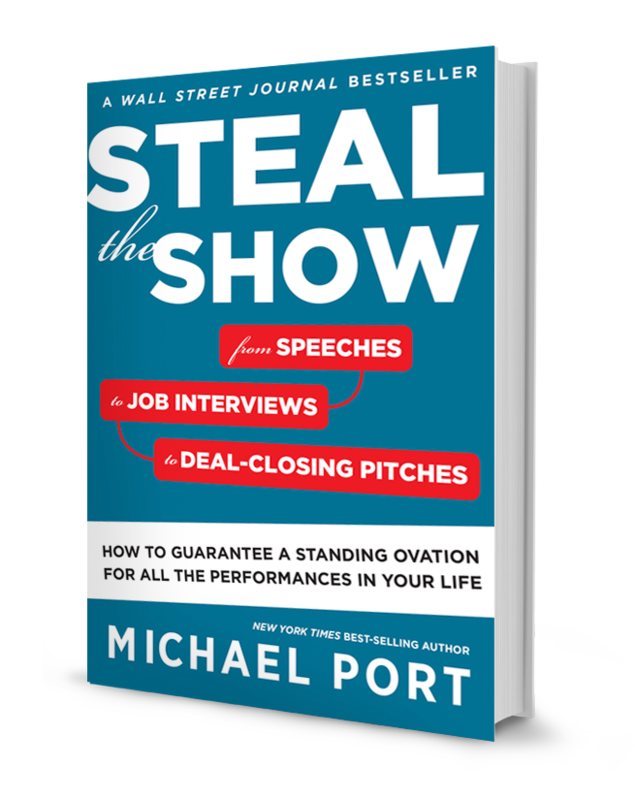 By sharing the go-to techniques of successful actors, Port brings even the most reticent speaker or wallflower the tools necessary to inspire and persuade. In this fast-paced, accessible, and actionable guide, he walks through the essentials on how to give your presentations a clear focus, engage your listeners, manage your nerves, give your message maximum impact in every situation, every time, and much more. 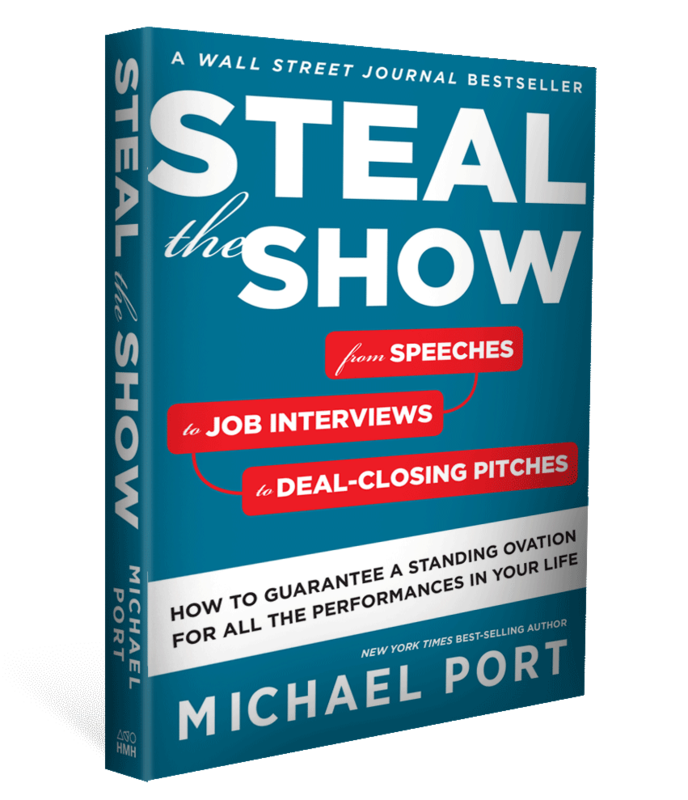 Drawing on his MFA training at the prestigious Graduate Acting Program at NYU, Port has engineered a system that the non-actor can use to easily shine during their most important high-stakes situations. Every interaction is a performance, and much of our success hinges on whether we’re able to engage and inspire. Port’s highly popular approach has made him one of the most in-demand corporate speakers working today. This book is his guide to making the most of your own moments in the spotlight.